Tomorrow (Friday 29th May 2015) the queen will make a private visit to Lancaster Castle to mark the 750th anniversary of the creation of the Duchy of Lancaster. She will also visit a farm in Myerscough which has been owned continuously by the Duchy since its creation in the 13th century when King Henry III, gave the honour, county, town and castle of Lancaster to his younger son, Edmund ‘Crouchback’ (brother of Edward I), along with the title Earl of Lancaster. Thomas’ younger brother Henry, the 3rd Earl of Lancaster, recovered some of the lands during the reign of Edward III. In December 1326 he was granted, ‘to hold during the King’s pleasure’ the honours of Lancaster, Tutbury and Pickering with their castles and other former family estates. After Henry’s death in 1345 his son, Henry Grosmont succeeded him as Earl of Lancaster. Henry Grosmont was one of the most celebrated noblemen of his day. He took part in many of Edward III’s military campaigns and ‘in recognition of astonishing deeds of prowess and feats of arms’ Edward III created him 1st Duke of Lancaster on the 6th March 1351. In the same charter, the king raised Lancashire to a County Palatine for Henry’s lifetime. This meant that the Duke had sovereign rights in the county. The law courts were under his administration and he appointed the sheriff, judges, justices of the peace and other senior officials. In medieval England, Palatinate powers were used in regions where central government was difficult and the creation of Lancashire as a County Palatine may have been intended as a protective barrier against the Scots. When Henry Grosmont died in 1361 without a male heir, the ducal title became extinct and the palatinate powers reverted to the king. Henry Grosmont left two daughters, Maud and Blanche. Blanche, who held Lancaster as part of her dowry, had married the third son of Edward III, John of Gaunt, in 1359 and when her sister Maud died without children in 1362 the whole of her father’s inheritance passed to her. John of Gaunt was created 1st Duke of Lancaster (second creation) in 1362. John recovered many more of the Lancaster possessions that had been lost in 1322 and on 28th February 1377, Edward recreated the Palatinate for John’s lifetime. Then, in 1390, the grant was extended to include John’s heirs. When Edward III died in 1377 his ten-year-old grandson, Richard II, became king and John of Gaunt acted as Regent. But John’s son, Henry Bolingbroke, had a disagreement with the king and in 1398 he was banished from the kingdom for six years. When John of Gaunt died in 1399, Richard II confiscated the Lancaster inheritance and extended Henry’s banishment to a lifetime sentence. 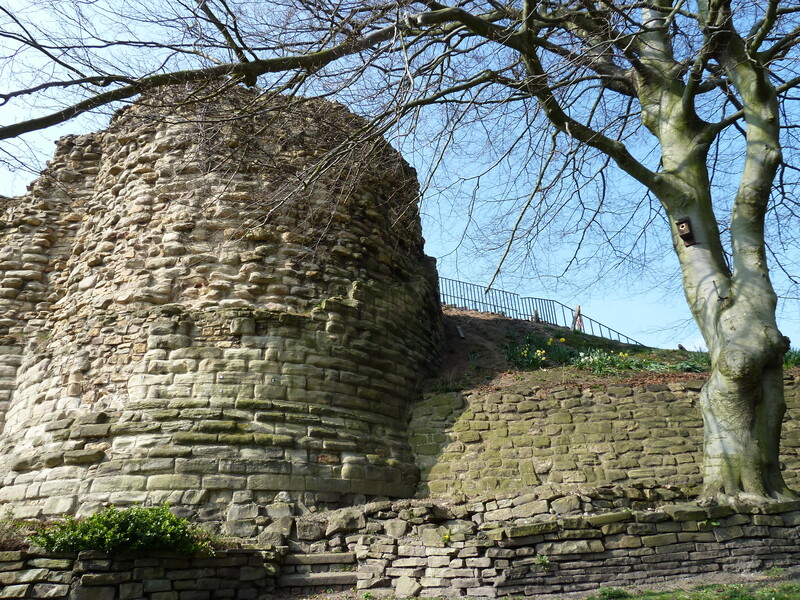 However, Henry returned to claim his lands and, with the support of leading families, he regained control of the Lancastrian strongholds, captured Richard II, forced his abdication and imprisoned him in Pontefract Castle (the original seat of the de Lacy family). Henry Bolingbroke was crowned Henry IV on 13th October 1399 and one of his first acts was the Charter of Duchy Liberties, later known as the Great Charter of the Duchy, which specified that the Lancaster inheritance should be held separately from other Crown possessions and should descend to Henry’s male heirs. This meant that even if Henry lost the throne he would not lose his Lancastrian inheritance. After Henry VII defeated Richard III at Bosworth in 1485, the houses of Lancaster and York were united but a charter of that year confirmed the Duchy of Lancaster as separate from other Crown lands, and under its own management. There has been no new settlement since. During the reign of Elizabeth I in 1556 the Duchy was described as ‘one of the most famous, princeliest and stateliest pieces of the Queen’s ancient inheritance’, however James I and Charles I sold large parts of the Duchy to make money. After the execution of Charles I in 1649 the Duchy ceased to exist although Cromwell did preserve the jurisdiction of the County Palatine of Lancaster. Following the restoration of Charles II in May 1660 the Duchy was returned, but sales or grants of the land continued. During the next century the Duchy was almost bankrupt and when George III surrendered his other hereditary estates (except the Duchy of Cornwall) in return for an annual Civil List payment the Duchy of Lancaster was not even mentioned, either because it was worth so little or because it was separate from the hereditary revenues of the Crown. During the reign of George III the fortunes of the Duchy improved and in the reign of Queen Victoria the Chancellor of the Exchequer considered giving up the Duchy to the public purse. The Duchy Council successfully argued that this would increase public expense but it was agreed that the Duchy should publish a full financial report to both Houses of Parliament, an arrangement that continues to this day. 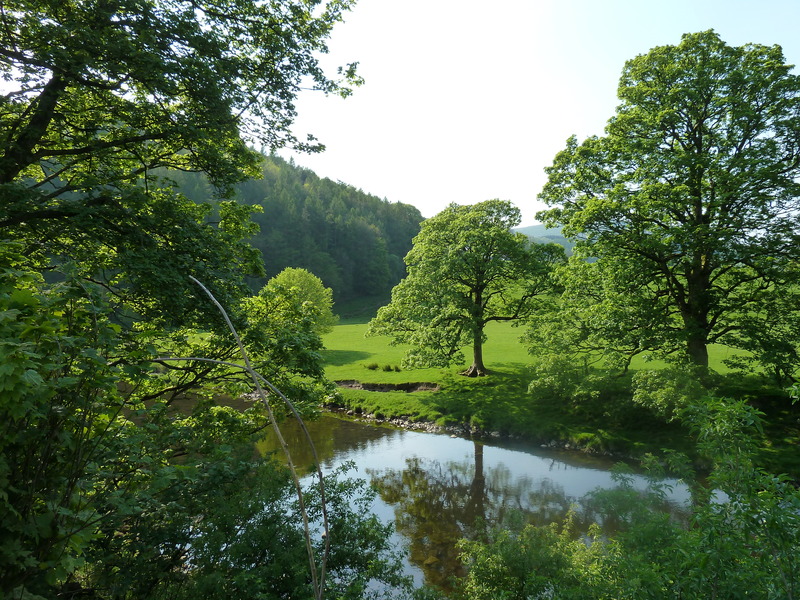 The River Hodder at Whitewell. The Duchy of Lancaster continues to provide the Sovereign of the day with a source of income independent from Government and the public purse. The Duchy is self-financing and does not rely upon public funds in connection with its activities. The present Queen, the Duke of Lancaster, retains a keen interest in the Duchy and was once quoted as saying that she would like to retire to the Whitewell Estates in the ancient Royal Hunting Forest of Bowland, which was an ancient Duchy possession. In Lancashire the Duchy owns five agricultural estates located between Preston and Lancaster, covering an area of 11,500 acres. They are Myerscough, Wyreside, Whitewell, Salwick and Winmarleigh. Only Myerscough has been owned by the Duchy continuously, the others having been purchased or repurchased over the years. 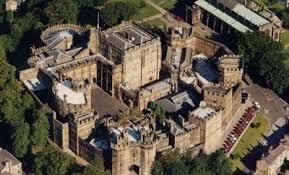 Of course, Lancaster Castle is also a Duchy possession. And in Lancashire the loyal toast remains ‘The Queen, Duke of Lancaster!’ I’m sure she will be made very welcome tomorrow. As always, I thoroughly enjoyed this posting/email!